Valve revealed the specs for the high-end version of its Steam Machines, and they look impressive. Most of the parts were detailed, so it's easy to figure out how much these could cost. I put together some parts that match Valve's list, and priced it out on Amazon with a Prime account. I have four options, ranging from low-end to extreme. Even the "low-end" system is still a hefty machine capable of speeding past the next-gen consoles, and the extreme system is an insane beast that will gladly make your eyes bleed with pixels. Some of the prices might seem steep, but remember that these are high-end systems. These rigs are made for people who want to be able to have this be their primary gaming computer, and for those who don't want to rely on streaming from another device. These are the boxes you want to look at if you want to get into PC gaming with some really nice performance. The medium option I put together sits right around $1,000, which is a good price range for anyone looking to get a solid gaming PC. It's my favorite out of the set, because the price is cheap enough to make it easily affordable, while it still offers some amazing performance. Some of these parts are a bit odd, and they might not make perfect sense. A 450 watt PSU might seem to be under powered for the higher builds, but that's what Valve listed. The little media case is probably too small for good air-flow and the a Titan really won't fit inside of if, but once again it's the size that Valve listed. This is really to get an idea of how much the parts will cost, and not meant to be followed exactly to build your own system. I'm looking forward to seeing what Valve's lower-tier options look like, since those will be the ones that will be directly competing with the new consoles in the $400 to $500 price range. That can easily be achieved with performance similar to the low-end system I listed here if they use non-socketed parts, which means it wouldn't be upgradable but it would be easier to mass produce. 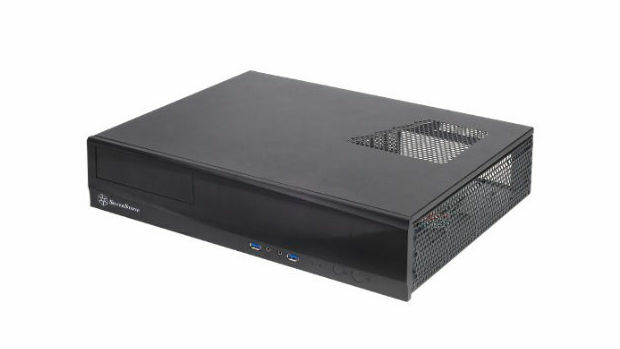 I think the non-upgradable low-end boxes are a strong possibility, since with these high-end rigs Valve specifically said that they are "fully upgradable, allowing any user to swap out the GPU, hard drive, CPU, even the motherboard if you really want to."